Randwick horseman Grahame Begg is like a craftsman honouring a long time family tradition, training thoroughbreds isn’t a job or even a career. “It is a way of life” is how Grahame describes training racehorses. Grahame prides himself on honing his charges from a boutique stable that runs as a closely-knit affair. Grahame believes he is fortunate to have had learned the trade from his father, internationally respected former trainer Neville Begg. The Begg philosophy of unhurried individual attention has resulted in a total of 58 Stakes winners to date. The Begg family’s genuine love of horse is almost tangible. 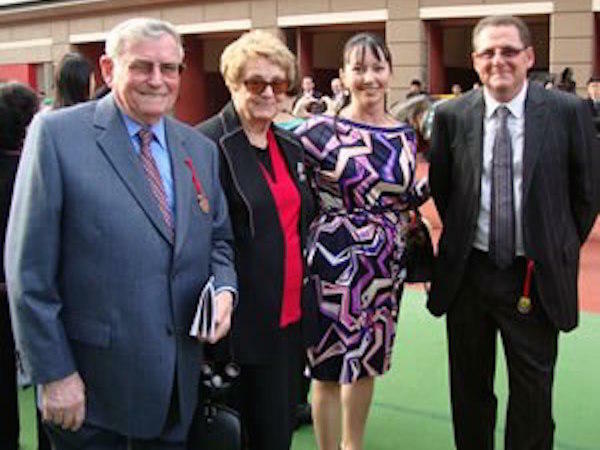 Grahame Begg was never going to be anything but a racehorse trainer. 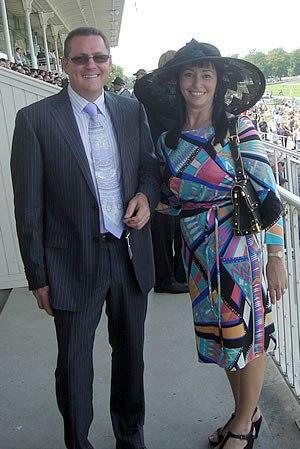 He loves horses, loves winning races and loves being able to spend time with his family. Grahame did his apprenticeship working as travelling foreman for his father Neville for 12 years before taking over the operation founded in 1967 when Neville took up the challenge of training in Hong Kong in 1990. During the time Grahame worked as Neville’s right hand man they had many Group horses such as November Rain, Dalmacia, Veloso, Heat Of The Moment, La Cassiere and Travelight. Emancipation was the best however, and Grahame was the 1984 Australian Horse of the Year’s constant companion. Grahame’s schooling paid off quickly and he struck gold within five weeks of obtaining his license in 1990, winning the Group I Doomben Cup [then called the Fourex Cup] with Eye Of The Sky and Whisked added to his great start when taking out the Thousand Guineas at Caulfield later that year. During the 90s, Grahame won seven Group I races, a start any trainer would dream off so quickly after commencing their career. Full siblings Telesto, Fraternity and Bonanova won four Group Is between them while Eye Of The Sky, Whisked and the striking Mahaya claimed the other three. Another highlight of Grahame’s early career was winning back to back Hong Kong International Bowls [now Group I] with Monopolize in 1995 and 1996, the first Australian trainer to do so. The turn of the century saw the Grahame Begg stable continue its success through the exploits of high class gallopers such as All Silent, Our Egyptian Raine, Perfect Promise, Written Tycoon and Palacio De Cristal, all flourishing as racehorses under the care of the Randwick-based trainer. In the past two seasons the stable has won or placed in over 20 stakes races including Group One wins with All Silent and Gr 2 Villiers Stakes winner Palacio de Cristal, along with Ilovethiscity, Pagan Princess, Mac Chois & Secret Admirer.